Pour the Edensoy and syrup into a medium saucepan. Turn the heat to high. Add the dissolved kuzu root and stir constantly with a wire whisk until the Edensoy thickens to a pudding consistency. Remove from the heat. Refrigerate until cold. Spoon a layer of pudding into each parfait glass. Place a layer of assorted fruits on top of the pudding. 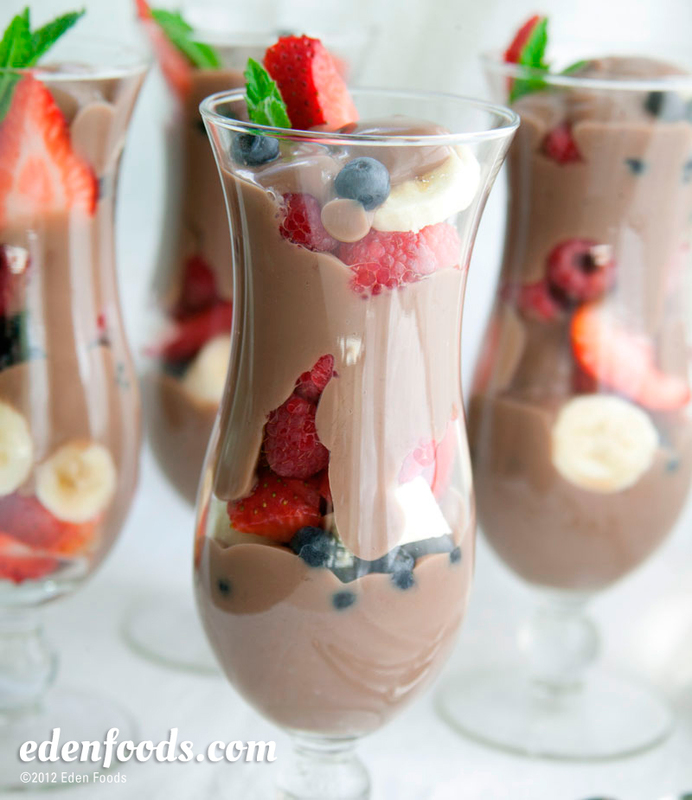 Repeat alternating layers of pudding and fruit until the glasses are full. Garnish with fresh mint leaves, if desired and serve.